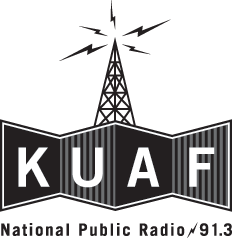 Want more from KUAF? The Frequenc-E Newsletter keeps you updated with the week's top stories. Stay on top of fresh and local sound with the Music Newsletter, for fans of all genres. If you're interested in volunteering, never miss the latest support opportunities with our Volunteer Newsletter. Delivered to your inbox every week, KUAF newsletters always keep you in the know.